Violence in the workplace has become an unfortunate reality. Recent events in Saskatchewan have served as reminders that workplace violence can affect all professions and types of workplaces, even hospitality. Does your organization have a Violence Prevention policy in place? Do you or your employees know what to do if faced with a violent confrontation? As an employer and/or a business owner it is important to have a plan in place to protect all employees. 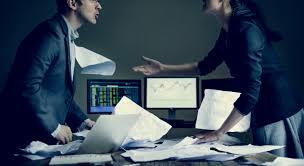 Article – Workplace Violence: Have You Done Enough? Section 3-21 of The Saskatchewan Employment Act outlines the employer’s responsibility for developing and implementing a policy to deal with violence in the workplace. The violence policy and prevention plan must be in writing and readily available to all employees.